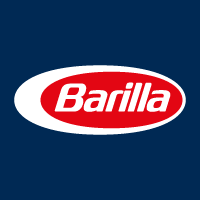 Founded in Parma in 1877 out of a shop that made bread and pasta, Barilla is today among the top Italian food groups: leader for pasta in the world, pasta sauces in continental Europe, bakery products in Italy, and the crisp bread business in Scandinavia. The Barilla Group owns 28 production sites (14 in Italy and 14 abroad) and exports to more than 100 countries. Every year, its plants turn out around 1,700,000 tons of food products that are consumed on tables all over the world, under the following brand names: Barilla, Mulino Bianco, Harrys, Pavesi, Wasa, Filiz, Yemina e Vesta, Misko, Voiello, Academia Barilla.